Bennett Anderson walked into the Cobb County jailhouse. However, he did not enter under his own accord. Law enforcement officers surrounded his body and controlled his every movement. His hands were cuffed behind his back. The tightness of the metal braces around his wrists limited his circulation and caused a stinging pain. The accompanying bruises would remain for days. The emotional humiliation and depersonalization of the experience would last much longer, perhaps for the rest of his life. A sheriff’s deputy momentarily unlocked the cuffs. However, Bennett’s apparent relief was short-lived, as the deputy next forcefully grabbed Bennett’s hand to acquire fingerprints. The dark ink only covered his fingertips, but he felt like his whole body was tarred and feathered. The deputy then demanded that Bennett stand upright along a wall for a mug shot that would likely parade around the internet. The photo was no Glamour Shot. Yet, who could blame Bennett for the piercing stare, the angry demeanor, and an adjoining scowl? He was falsely accused of a crime that involved an inaccurate interpretation of his dog’s behavior. Up to this point it was his word versus the word of a county zoning officer who insisted that Bennett purposefully sent his dog to attack her- and Bennett’s word apparently did not amount to much in the opinions of the law enforcement officers that arrested him nor the judge that set his bail at $25,000. Earlier in the day he was a respected businessman and entrepreneur in the wholesale food industry. He handsomely wore a suit and tie as he met with clients and operated his company. However, now he was an accused criminal, replete with a prison wardrobe, a number, a fingerprint file, and mug shots, but absent of the possessions he wore before the police arrived at his home to take him away while his family and neighbors watched with confusion and horror. Bennett would remain a prisoner until his wife came several hours later with the bail bond. Thankfully, he could afford the bond. Thus, for the time being his status as a prisoner was merely temporary. Bennett was more concerned about his long-term status as a “criminal.” His dog merely chased the zoning officer because the officer became frightened and ran away. The dog only wanted to play. Yet, the formal charge of felony assault on a law enforcement officer said otherwise. Bennett was terrified. He dedicated years of hard work to build his business, develop status in the community, and provide for his family. Now, due to a zoning inspector afraid of dogs, he was afraid of losing it all. If Bennett is found guilty he might have to spend several months or years in prison. During that time could his business survive? Would he lose his right to vote? His right to own a firearm to protect his family? The preceding story is true, other than changing the name of the accused party. Fortunately, the story has a happy ending. A CPT expert witness conducted a thorough analysis and concluded that Bennett’s version of the event was accurate, whereupon the prosecution dismissed the charges prior to trial, rather than risk embarrassment in court. Yet, few parties in a criminal case or civil lawsuit or even their attorneys exhibit the foresight of Bennett’s attorney, who had the sagacity to call in a CPT expert witness. In defense of the unaware, most civilians wish to avoid the legal system and most attorneys (other than those in the insurance industry) rarely work on criminal or civil cases that involve animal behavior. Nevertheless, to create a greater number of happy endings, more people should gain familiarity how an expert witness can play a valuable role within a legal case or quandary that includes issues directly or indirectly related to canine behavior. 4. explain how an expert witness may provide value in criminal or civil matters where dog behavior is a primary issue of the complaint. Nevertheless, although the greatest difference between a standard witness and an expert witness is that the expert witness is allowed to register opinion, sometimes the testimonial or non-testimonial role of the expert is as simple as helping the triers or a client’s legal team to better understand facts, analysis, or scientific principles or to provide analysis or figures that may be factual in nature (e.g., a banker or CPA determining the present or future value of an investment, a veterinarian providing the results of a diagnostic test). Many expert witnesses never provide written or verbal testimony. In some cases an expert witness may function solely in a preparatory role, where the expert is a consultant or adviser to a legal team, but never publishes affidavits or provides testimony in court. If the expert functions solely in an advisory role, then the court does not need to qualify the expert. Similarly, if the expert witness provides opinion during a mediation, then a judge need not certify the expert, provided both parties accept the qualifications of the expert. In certain mediations, both parties may agree to jointly hire and pay for the expert. Such a circumstance happened in a recent case in Florida, where CPT was jointly hired by the Plaintiff and Defendant to conduct behavioral tests of the Plaintiff’s animal and to render objective opinion regarding whether the Plaintiff’s animal was legitimately a service dog in accordance with Federal statute. However, if the expert witness submits written or verbal testimony as part of a trial, then the court first needs to qualify the individual as an expert. A judge will evaluate the qualifications of the expert witness and the expert’s opinion based upon the rulings of Daubert v. Merrell Dow Pharmaceuticals (1993), General Electric Co. v. Joiner (1997), and Kumho Tire v. Carmichael (1999). Daubert v. Merrell Dow established that Rule 702 of the Federal Rules of Evidence did not require the Frye general acceptance test or Frye standard when determining the admissibility of scientific testimony. The Frye Test or Frye Standard arose from a 1923 case, Frye v. United States F. 1013 (D.C. Cir. 1923). The case discussed the admissibility of polygraph evidence, ruling that the evidence was inadmissible since expert witness testimony must be based on scientific methods that are sufficiently established and accepted within the scientific community. In comparison to Frye, Daubert allowed more flexibility in admitting scientific evidence. Daubert required that the expert witness derive his/her testimony from knowledge acquired via scientific method and that the knowledge assist the trier in fact (judge or jury) in understanding evidence or in determining fact. In addition, Daubert allowed the judge to determine the validity of the methodology and/or reasoning behind the stated knowledge or opinions. With Daubert, publication in a peer reviewed scientific journal, testing or verification of the accuracy of the methodology, or acceptance amongst peers may be sufficient, regardless of whether the method is established or generally accepted. Federal courts and the majority of state courts now use the Daubert Standard when determining the admissibility of expert witness testimony. However, a few state courts still employ the Frye Standard. General Electric Co. v. Joiner allowed judges to exclude expert witness testimony when gaps exist between the evidence and the conclusions of the expert. In the GE case, the Plaintiff claimed that exposure to PCBs caused his lung cancer. However, the court ruled that the Plaintiff, a smoker with a family history of lung cancer, did not prove that he was significantly exposed to PCBs and that there was no admissible scientific evidence that PCBs caused his cancer. The General Electric decision protects parties to a legal suit when the other party has the finances to purchase an expert “hired gun” who illogically, speciously, or unscrupulously develops conclusions that benefit the arguments posed by the expert’s client. Kumho Tire v. Carmichael (1999) ruled that a judge’s “gatekeeping” function pertaining to qualifying an expert witness and determining the admissibility of testimony applies to all expert witness testimony, regardless of whether the testimony is scientific in nature or whether the testimony is developed from “skill or experience-based observation” that requires specialized or technical knowledge. In the Kumho case, Carmichael claimed in Federal district court that a defective tire caused an accident that resulted in the death of a passenger riding in Carmichael’s vehicle. Carmichael hired an expert witness that supported his claim. Kumho disputed the methodology employed by Carmichael’s tire expert. The judge supported Kumho and excluded the testimony of Carmichael’s expert witness, as in the opinion of the judge the expert’s analysis lacked validity. After a reversal in appellate court the case was sent to the Supreme Court, who supported the decision of the original district court judge. The Supreme Court majority opinion established that a judge need not “admit opinion evidence that is connected to existing data only by the statement of the expert himself.” Therefore, regardless of whether an expert’s analysis is scientific or based upon experience or specialized knowledge, the expert witness must be able to support that his/her opinions and conclusions are derived from a valid, recognized methodology. When a case goes to trial, before a jury hears testimony from an expert witness the judge must first qualify the expert. Usually the attorney offering the expert witness will present the highlights of the expert’s curriculum vitae. The judge may also allow opposing counsel to voir dire the expert. The judge will then consider the expert’s education, training, skill, experience, and accomplishments. 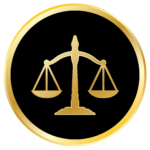 Nevertheless, even if the judge qualifies the proffered person as an expert witness, for the judge to admit the expert’s testimony the testimony must meet the Daubert Standard. Satisfaction of the Daubert Standard will maximize the probability that an expert’s testimony will withstand challenges or Daubert motions from the opposing legal team. In state court such Daubert motions may occur either pre-trial (in a civil case usually after depositions) or during trial, although rules may vary by jurisdiction. In federal court, there is usually a pre-trial Daubert hearing, where the judge determines the credibility of the expert witness. In addition, in a federal trial, in accordance with Rule 26(a) of the Federal Rules of Civil Procedure, experts must share a report of their analysis and conclusions prior to the trial date, so that opposing counsel can properly prepare cross-examination. Consequently, considering the multitude of scrutiny provided expert witness testimony, it is essential that legal teams ensure that experts are qualified and that experts’ conclusions and methods are reliable and valid. c. Industry or subject-specific training? h. Peer or industry recognition? 2. Can I verify the expert’s qualifications? 3. Does the expert understand the case, agree with the claims, and have passion for the case? 4. Does the expert understand the Frye Standard or the Daubert Standard that applies to the particular court? 5. Is the method(s) used by the expert reliable, valid, and accepted as a standard within the industry or field? 6. Has the method been subjected to testing and verification both in the laboratory and under field conditions? 7. Has the method(s) been published and/or passed peer review? 8. Does the expert understand the error rate of the method, including the probability of Type I (false positive) and Type II (false negative) errors? 9. Do standards exist for the operation and administration of the technique or method? 10. Are the opinions and conclusions of the expert logical and consistent with the evidence and data at hand? 11. Is the testimony of the expert valuable to the case, where it assists the judge or jury to better understand the pertinent issues, interpret facts, or answer important unresolved questions? 12. Does the expert believe his/her opinions and conclusion and can the expert legitimately support such opinions and conclusion with evidence, data, and an accepted method? Or is the expert merely telling you want you want to hear so that he/she can receive a paycheck? 13. Are your expert and your attorney prepared to counter objections from opposing counsel regarding the expert’s qualifications and/or the validity of the expert’s conclusions and methodology? 14. Is the expert prepared to address strategies and challenges, including those of hypothetical questions, that are likely to occur during cross-examination? 15. Is the expert aware of the perspectives, arguments, and claims addressed by the opposing party and does the expert know how to cogently counter such claims? 16. Is the expert practiced and rehearsed for qualification, examination, and cross- examination? 17. Is the expert’s communication understandable and convincing to a potential judge or juror? 18. Will the expert probably be perceived as likable and trustworthy by the judge and jury? 19.. Is the expert easy to work with as a member of your legal team? 20. Does the inclusion of the expert improve the probability of you winning the case? 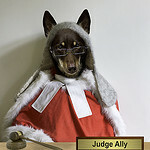 This photo is ironic, as in a courtroom a human jurist will render a decision regarding a dog’s behavior or actions or regarding the actions of a human responsible for the dog. Since the testimony of a normal witness is typically limited to direct factual observation, the inclusion of an expert in dog behavior, who can discuss opinions relevant to the behavior of the dog, may have great impact in swaying the decision of a judge or jury. 1. Pre-filing Evaluation– Reviewing documents and other evidence to evaluate the merits of a case or a strategy prior to filing a claim, counterclaim, or answer. 2. Education– Enlightening the client attorneys regarding facts, industries, protocols, and information outside the attorneys’ normal area of expertise. 3. Research– Researching and/or investigating to obtain information beneficial when formulating team strategy. 4. Consultation– Advising the attorney and client regarding trial strategy, the preparation of interrogatory, deposition, examination, or cross-examination questions, and evidence and testimony presented before or during the trial. 5. Testifying in writing– via a written affidavit. 6. Testifying pre-trial– via sitting for a deposition. 7. Testifying during trial– via examination and cross-examination. Expert witnesses may be classified into non-testifying and testifying experts. There are advantages and disadvantages to hiring each type of expert. A non-testifying expert maintains a consultative role. The major advantage is that all work product of the non-testifying expert is protected by attorney/client privilege. Therefore, the work product remains confidential and is not open to discovery. Similarly, the opinions of the expert, even those that are detrimental to the client, remain private to the client. However, if the opinions and conclusions of the non-testifying expert are potentially beneficial, unless the legal team converts the expert to a testifying expert or the team presents the conclusions to the court via other means, then such information remains unavailable to the court. A testifying expert submits written or verbal testimony via affidavits, depositions, and/or trial testimony. The major advantage of a testifying expert is that the testifying expert may greatly influence the trier (judge or jury) of the case. The major disadvantage of a testifying expert is that all work product of the expert, including all notes and documents, becomes open to discovery. Consequently, if the expert records notes that are unfavorable to the client, such information may become available to opposing counsel and the court. There are a number of dog-related issues that may foment a criminal or civil action. In criminal matters, usually the defense will hire the expert, although the state may also wish an expert to bolster its case. In civil matters, depending upon the specific issue, either the plaintiff or defendant is equally likely to hire an expert. 1. Animal Control Violations– including barking/public nuisance, dog at large, and dangerous dog complaints. a. Barking– often jurisdictions have vague laws regarding barking violations. In such cases, the witness statements are likely to be a he said-she said competition between a neighbor and the dog owner. An expert can play a valuable role by objectively observing and assessing the dog. An experienced expert may set up the dog with multiple stimuli and report the time lapse before the dog barked to each stimulus, the duration of the barking, the decibel level of the barking, the distance from the home the barking could be heard, the threshold level of each stimulus required to prompt the dog to bark, how the pitch, frequency, and volume of the bark related to a particular emotional state, and whether the type and magnitude of barking behavior was normal or abnormal. The expert in a report, affidavit, or testimony may also recommend behavior modification, management, and/or facility modification solutions if the dog legitimately is a problem barker. Such solutions may prevent further citations. – Well-written public nuisance statutes are difficult to fight. For instance, the best laws state that a law enforcement officer must observe the barking at a preset distance from the dog’s residence and hear the dog vocalize above a specific decibel level for a stated continuous period of time or for a stated cumulative time intermittently over a state period. With less descriptive laws the characterization of “nuisance” is very vague. As stated above, when the law is vague, but a client must defend an accusation, a CPT expert can observe the dog to provide an objective analysis of the dog’s barking behavior and since the expert is more impartial than the owner or neighbor, especially if the expert uses an established method and provides concrete data, then the expert should have excellent credibility when testifying. Moreover, the barking may be in-context and allowed by law if the expert can find that a reasonable stimulus, such as a trespass, is the only stimulus that provokes barking behavior from the dog. Lastly, although normally CPT would defend the owner of the barking dog and/or construct a behavior modification program for the dog owner, CPT can also function as an expert for a neighbor whose enjoyment of his/her property is diminished by loud or frequent barking from the pet of an irresponsible dog owner who resides proximal to the client’s home. b. Dog at Large– most local dog at large ordinances state that when away from the owner’s property and in a public environment that the owner must control his/her dog by a leash that does not exceed 6-feet in length. Exceptions are frequently made for permitted off-leash areas, such as dog parks, and for dogs riding in cars. Exceptions are sometimes made for obedient dogs off-leash, but in control at heel position while handled by a competent person. In addition, most laws contain exceptions for dogs engaged in competition obedience, field, or tracking training, dogs engaged in hunting on property where hunting is legal, and law enforcement dogs. An expert can help battle a complaint by proving or bringing into question a case of mistaken identity, which is an excellent strategy if the dog was not identified by a citizen or law enforcement officer via a rabies tag or owner identification tag or if the dog was not personally returned to the owner by the complainant or animal control. Moreover, an expert could cite the obedience level of the dog and/or the training of the dog so that the dog’s off-leash status falls within the allowances of an exculpatory provision. In addition, if a client dog escapes a home or confinement area and is legitimately cited, an expert may recommend behavior modification, management, and/or facility modification solutions that reduce the probability of future citations. – Cases of mistaken identity occur. CPT provided expert services in a case where a neighbor prompted a complaint of dog at large, amongst several other complaints that occurred over several time intervals. The CPT client had the dog at large complaint dismissed after proving that at the specific time the dog was allegedly illegally off-leash and running about the neighborhood that she was in Europe and her dog was safely confined within a kennel at a licensed boarding facility. In today’s transient society where neighbors often do not know one another, nonetheless, their neighbors’ dogs, a neighbor’s eyewitness account of dog identification may be highly unreliable. c. Dangerous Dog– is a serious imposition to the owner of a dog classified as dangerous or vicious. Under Georgia law the owner of a “dangerous dog” must construct an approved outdoor enclosure or securely keep the dog indoors or on a leash, post warning signs at all entrances to the premises, and register the dog annually with animal control. The owner of a “vicious dog” must do all the preceding, plus microchip the dog, and purchase liability insurance in the amount of at least $50,000 that protects the public against bodily injury or property damage caused by the dog. Furthermore, the owner of a vicious dog must both leash and muzzle the dog when taking the dog off the property. In addition, to avoid criminal prosecution, the owner of a dog classified as dangerous or vicious must notify animal control within 24 hours if the dog is loose, has attacked a human, has died, or has been euthanized. The owner of a classified dog may not transfer, sell, or donate the dog and must notify animal control in a new jurisdiction should the owner relocate. Moreover, the owner of a classified dog is subject to criminal prosecution if the dog is inappropriately at large off the owner’s property. In addition to being subject to criminal prosecution, owners who fail to comply with the law may have the dog seized and euthanized by animal control. Most states will have laws similar to the Georgia law communicated in this section. Once a dog receives a classification the classification is permanent. A dog owner may conduct training that improves the dog’s future behavior. Nevertheless, even if the training is highly successful, the dog remains permanently classified. Therefore, an expert can assume a vital role in preparing defense arguments during the hearing. Successful expert arguments usually entail mistaken identity or provocation on the part of the victim. 2. Assault and Battery– is a serious criminal charge. One may be charged with assault and battery if law enforcement believes that one used his/her dog purposefully as a weapon against another person or if gross negligence or wanton disregard by the dog owner resulted in the dog injuring a person. An expert can contribute by evaluating a dog to determine its training and behavioral tendencies and by reconstructing the incident to determine provocation. – CPT had an interesting expert case where a client dog chased a zoning inspector who came on the property. The zoning inspector claimed that the client purposefully sent the dog to attack her. The client was arrested, charged with felony assault on a law enforcement officer, and needed to post significant bond to return home to await trial. CPT was able to prove that the zoning inspector was afraid of dogs, which prompted her to run, which in turn prompted the dog to chase her playfully. CPT further proved that the dog had no inclination to bite people, even those that entered the property without permission, regardless of whether the owner was present, and that the dog had no formal or informal protection training. Subsequently, the court dismissed all charges prior to trial. 3. Cruelty to Animals– is a serious offense that may lead to jail time. OCGA 16-12-4 states that one commits misdemeanor cruelty to animals when “he or she causes death or unjustifiable physical pain or suffering to any animal by an act, an omission, or willful neglect.” A person commits aggravated cruelty to animals when “he or she knowingly and maliciously causes death or physical harm to an animal by rendering a part of such animal’s body useless or by seriously disfiguring such animal.” The statute excludes “fish” and “any pest that may be exterminated” from the definition of “animal.” The statute also provides exceptions for a person “defending his or her person or property, or the person or property of another, from injury or damage being caused by an animal” and for a person “injuring or killing an animal reasonably believed to constitute a threat for injury or damage to any property, livestock, or poultry.” If someone is improperly accused of cruelty to animals, whereby the animal posed a danger to the accused and the person had a statutory right to defend himself/herself, then a CPT expert can play a valuable role in reconstructing the event, analyzing the actions of the accused, and analyzing the actions, body language and vocalizations of the dog to determine that the dog was indeed an imminent threat to the accused or a human or animal member of the accused’s family. – A CPT expert assisted a client improperly charged with felony cruelty to animals. Based on the actions and body language of the animal, CPT was able to convince the jury that the animal posed a significant threat to the defendant. In addition, CPT testimony was able to impeach the credibility of the dog’s owner regarding the breed origin of the dog and the dog’s behavioral history. Subsequently, after a half hour of jury deliberation the client was exonerated. 1. HOA and COA Disputes– may include violations of barking, dog at large, other public nuisance (e.g., soiling, property destruction), aggression, and breed restrictive covenants. In many cases, HOAs and COAs have more power than a court or hearing board, since in most covenants the homeowner has contractually signed away many rights to due process, whereby the HOA/COA board may at its sole discretion demand the removal of the dog from the premises, regardless of whether the dog owner has been cited or convicted in accordance with a statutory animal control violation. Moreover, the HOA/COA board may not allow the dog owner to present evidence or rebuttal. An expert can play a vital role in objectively analyzing the behavior of the dog and in appeasing the board of directors that the dog owner is engaged in a behavior modification or training plan that should ameliorate the problem that instigated the action to remove the dog. In addition, if the client believes the actions of the board are arbitrary and capricious, then the expert can work in conjunction with an attorney to subpoena and analyze relevant board minutes and actions to determine whether the board has been consistent or prejudicial in its function. – A CPT client received a letter from her HOA that her dog was a Pit Bull, in violation of breed restrictive covenants, and that her dog exhibited unacceptable aggressive behavior to persons and dogs in the community. In fact, the dog was not a Pit Bull and the behavior of the dog was friendly and exuberant in nature, although lacking in control. A CPT expert affidavit was sufficiently compelling in persuading the board to allow the client to keep her dog in the community, provided she engage in a training plan that managed the dog’s exuberant behavior that was frightening certain homeowners. 2. Landlord-Tenant Disputes– are similar to HOA disputes. Landlords may wish to remove a dog because the dog barks, presents a nuisance, runs loose in the neighborhood, destroys property, defecates in inappropriate areas, exhibits aggressive behavior, or violates weight or breed restrictions specified in the lease. Certainly, any dog owner should carefully read his/her lease before moving into a property or before acquiring a dog if already residing in the property. Often weight issues are poorly foreseen when a tenant acquires a puppy from a shelter and the dog unexpectedly grows beyond the weight limits of the lease. Nevertheless, pet owners should be cautious about violating weight and breed restrictive provisions, as they may be forced to move or rehome their pet to avoid fines, a lawsuit, or eviction. An expert can be helpful in identifying the breed of dog if the breed origin is in dispute. The expert can use physical measurements and descriptions in conjunction with the breed standards of registries such as the AKC or UKC. Likewise, an expert can conduct a behavioral analysis and/or video analysis of the dog to demonstrate that accusations regarding the dog’s behavior are false. In addition, if the charges are legitimate, but a landlord is willing to give the tenant a second chance, the expert can develop a formal behavior modification and management plan that satisfies the concerns of the landlord. – The Federal Housing Act Amendment (FHAA) mandates that landlords must allow a dog in a unit if the dog is an emotional support animal, even if the dog is of a typically restricted breed or weight. Similarly, the Americans with Disabilities Act (ADA) stipulates that a dog can not be denied access if the dog is a service dog. To receive classification as an emotional support animal, the dog owner must produce a letter from a doctor stating that the owner has a mental health condition that is benefitted from the presence of the dog. In essence, the doctor writes a prescription for the dog. To receive classification as a service dog, the dog owner must have a disability as defined by the ADA and the dog must perform an assistance behavior that relates to the owner’s disability. P rovided a dog is legitimately an emotional support animal or service dog, an expert can help the dog owner prepare proper documentation for the dog owner to present to the landlord or to a court should the landlord remain recalcitrant. 3. Breed Restrictive Legislation– is highly controversial, but becoming more common. As stated above, community covenants may restrict dog breeds allowed within a community. Similarly, in some municipalities, statutes exclude residents from owning certain breeds. However, the issue may not be cut and dry. Often the laws are written poorly, where the definition and/or description of the excluded breed is vague. In such a case, an expert can author a compelling argument that a client dog is not a member of the restricted breed or at least could add reasonable doubt that the dog is a member of the breed. Moreover, since federal legislation is prepotent over local legislation, if an otherwise restricted dog is a service dog, then the dog can reside within the municipality. – CPT expert services have helped a client keep a dog that Dekalb County classified as a pit bull. Dekalb had a ban on pit bulls from 2010 until May 2012, when the ban was lifted. CPT expert services can assemble a persuasive argument that consists of physical, temperament, and behavioral comparisons of the dog to that of a recognized standard, such as the AKC or UKC standard for the breed that the governmental body alleges the dog is a member. CPT can also coordinate DNA testing for the dog, where a scientific test helps to determine the dog’s breed origin. In addition, CPT completed an expert case in Florida where Miami-Dade County wished to remove a dog (the County has breed restrictions against pit pulls). CPT submitted expert testimony that the dog is in fact a service dog, as the plaintiff has a disability as defined by the ADA and the dog performs a behavior that mitigates the effects of the plaintiff’s disability. Thus, the plaintiff was allowed to keep his dog within the county. 4. Seller-Purchaser Contract Issues– can often benefit from the inclusion of an expert. In the eyes of a purchaser, if the seller does not uphold the terms and conditions of a contract or if the dog does not fit the physical description, temperament guarantees, or health guarantees stated within the contract, analysis by an expert may be compelling in the judge or jury deciding in favor of the purchaser. Similarly, if a seller believes that the purchaser has not upheld terms and conditions of a contract or if the seller believes that the purchaser’s treatment or management of the dog violates humane or contractual conditions, then expert testimony may be valuable on the seller’s behalf. – CPT expert services played a role in a court case where a purchaser believed the behavior of a young dog violated temperament guarantees the seller made during the purchase process. 5. Dog Bite Injuries and Other Homeowner/Victim Claims– can be become very serious and expensive matters. The Centers for Disease Control website states that nearly 4.5 million Americans are bitten by dogs each year, that half of the victims are children, and that 20% (885,000) of the bites are sufficiently severe, whereby they require medical attention. According to a 2010 study by the Agency for Healthcare Research and Quality, each day about 1,000 U.S citizens require emergency care for dog bite injury. The study found that the average cost of a dog bite-related hospital stay was $18,200. The Centers for Disease Control (CDC) published that in 2001 hospital emergency rooms in the US treated over 368,000 persons for nonfatal dog bite-related injuries, of which 42% of the injuries occurred to children aged 14 and younger. In 2012, more than 27,000 people in the US underwent reconstructive surgery as a consequence of a dog bite. An article in the Journal of the American Medical Association (JAMA) claims that “dog attack victims suffer over $1 billion in monetary losses annually.” According to the Insurance Information Institute, dog bite injuries accounted for $483 million of claims paid in 2013, which was more than one-third of all homeowner insurance liability claim dollars paid during the calendar year. The average cost per claim was $27,862, which is more than 45% higher than the average claim a decade earlier. Laws vary by state regarding the liability of the dog owner. In some states a dog owner is strictly liable for the actions of his/her animal. In the majority of states, including Georgia, the dog owner is civilly liable only if the dog owner knew or should have known that his/her dog had a probability of biting. Otherwise, the dog owner will not typically be deemed negligent, unless the dog owner’s handling of his/her dog violated the law (e.g., the dog was illegally off-leash on public property), whereby he/she would be strictly liable, or if the dog owner’s actions were careless or reckless in a manner that caused the dog to bite. In states such as Georgia, the burden of proof lies with the victim (plaintiff), who must prove either that the dog owner had superior knowledge (scienter) regarding the propensity of the animal to bite or that the dog owner acted in a manner that was not reasonable or prudent or that was reckless, which subsequently caused the dog to bite. The defense of the dog owner is usually that he/she did not have knowledge of the dog’s disposition to bite, that the victim had equivalent knowledge, and/or that the victim assumed risk (e.g., disobeyed verbal or written warnings, failed to heed information obtained via prior observation of the dog, failed to act with sufficient caution given information present about the dog, or failed to act reasonably or prudently given general information available about dogs). Additional defenses may include information that the victim was abusing the dog or had previously abused the dog or that the victim’s actions provoked the dog and that the dog acted rationally and in-context given the actions of the victim (e.g., the victim kicked the dog or hit the dog with an object). Regardless of whether one is the plaintiff or the defendant, an expert can be valuable to winning a dog bite case. An expert can help attorneys to compile effective questions that aid the plaintiff in proving that the defendant had knowledge of his dog’s behavioral tendencies. Likewise, an expert can help the defendant’s attorneys to compile effective questions that prove the plaintiff had equivalent knowledge, assumed risk, or provoked the dog. An expert can conduct a behavioral analysis of a defendant’s dog to determine whether it is aggressive in a context similar or identical to that of the bite episode. An expert can reconstruct an event and render opinions regarding negligence on the part of the defendant or the plaintiff. – A young child was severely bitten by the defendant’s chained dog while running alongside the perimeter of the defendant’s property. The defendant had warning signs about the house and rebutted that the child was trespassing and assumed risk. The insurance company that represented the defendant only offered a small settlement that did not approach the child’s medical costs, nonetheless the pain and suffering related to his injury. The plaintiff’s attorney was frustrated with the recalcitrance of the defendant’s attorneys. Consequently, he called in a CPT expert. The dog had been euthanized and was unavailable for observation. However, the CPT expert was able to greatly assist the plaintiff’s case by analyzing case files, photographs, transcripts, witness interviews, neighbor interviews, site maps, statutory law, case precedent, statistical data, and animal behavioral research. The analysis included case rulings that showed that a young child can not be considered familiar with the concept of trespass or assumed risk, which effectively countered the defendant’s primary argument. The CPT expert also directed the plaintiff’s investigators, who then found that the defendant’s dog had two prior bites, which proved scienter. Upon the submission of a detailed expert affidavit, the defendant’s insurance company promptly settled for an amount approximating the objective of the plaintiff. – An elderly woman in her early 80s was walking her German Shepherd on-leash. A jogger ran past the woman and dog, then started yelling at the woman. The German Shepherd pulled the elderly woman, whereby she dropped the leash, the dog escaped her control, and the dog bit the jogger, who was taken to the hospital by ambulance. A CPT expert reconstructed the event and compiled a convincing argument that the jogger’s actions were provocative and negligent (she should have known that her actions may antagonize a German Shepherd and that an elderly woman may not be able to control her dog once it became aroused). Subsequently, the case against the dog owner was dismissed. – An attorney representing an accused felon contacted CPT regarding an analysis of the actions of a police dog. When fleeing the police, the accused felon was severely lacerated by the dog. The attorney requested that a CPT expert review the training logs and actions of the officer and the dog to determine if they acted in accordance with written protocols. The CPT expert concluded that both the officer and dog acted appropriately, but that perhaps the manner in which the dog was used, although within guidelines allowed by law enforcement policies, was excessive force that violated her client’s constitutional rights. Thus, the CPT expert advised the attorney not to pursue a case unless an expert in constitutional law or criminal justice could make an argument that the county’s law enforcement policies regarding the use of police dogs allowed excessive force that violated the accused’s rights. – An adult female dog bite victim contacted CPT regarding expert services. The victim was bitten by a neighbor’s dog. The bite resulted in broken bones, deep contusions, and severe lacerations. When querying the victim, CPT found that the victim was knowledgeable about the dog biting people previously. She was also knowledgeable that the owner had poor control of the dog and that the dog became aggressive while being bathed or groomed. However, believing that the dog would not bite her because the dog had always been friendly to her prior to the incident, the victim agreed to help the neighbor groom the dog, whereby the dog became aggressive and inflicted the described injuries to an arm and a leg of the victim. CPT advised the victim that the issues of scienter and assumed risk were not in her favor if she pursued a lawsuit to obtain a settlement beyond that offered by the neighbor’s homeowners insurance company. There are a number of criminal and civil matters that involve dog behavior where the inclusion of a dog behavioral expert may significantly advance the productivity of the legal team and play a vital role in winning the client’s case. An expert can participate in a preliminary role to determine the strengths and weaknesses of a potential case so that a client pondering civil litigation does not pursue a weak case. A non-testifying expert witness may consult with a legal team to help the team to better understand issues, conduct research, assemble questions, construct strategy, or otherwise prepare a case prior to or during trial. A testifying expert may submit written testimony or sit for depositions prior to trial or provide verbal testimony during trial. If a person considers hiring a testifying expert, the legal team must be sure that the expert is qualified and that his/her methods are reliable and valid, whereupon they will withstand a Daubert motion. Consequently, before hiring the expert, one should interview the expert thoroughly and before the expert submits testimony the team should rehearse the expert so that he/she is prepared for challenges and cross-examination. © Mark Spivak and Comprehensive Pet Therapy, Inc., November 2014. Revised January 2016. All rights reserved.